Dr. Jan E. Janečka serves as Director of SLC’s Genetics Research Program and currently holds an Assistant Professor appointment in the Department of Biological Science at Duquesne University. His work focuses on the status and population structure of snow leopards, conservation genetics of felids, and the evolution of mammals.In the winter of 2005 he traveled to Ladakh (India) and with the Snow Leopard Conservancy conducted a pilot study examining the feasibility of estimating snow leopard distribution and abundance using noninvasive genetic techniques. This approach uses a combination of sign surveys and genetic analysis of scats to identify individuals occupying an area. The technique was shown to be very efficient for detecting snow leopards (Janecka et al. 2008. Animal Conservation), and in collaboration with in-country partners is now being used to examine the distribution and abundance of these elusive cats across Central Asia. These surveys will generate information critical for designing effective conservation actions.Dr. Janečka has a diverse background in wildlife science, having worked on projects integrating genetics, ecology, and conservation. He was a Rob and Bessie Welder Wildlife Fellow during both his masters and doctoral work, having studied the social structure and dispersal of bobcats at the Welder Refuge (MS in Wildlife and Fisheries Biology, University of Vermont) and the effects of habitat fragmentation on genetic diversity of ocelots in Texas (Joint PhD in Wildlife Science, Caesar Kleberg Wildlife Research Institute, Texas A&M University-Kingsville & Texas A&M University). Janecka went on to a post-doctoral position with Dr. William Murphy (Texas A&M University), focusing on phylogenetics and diversification of mammals. During this time he also developed and expanded the snow leopard genetics project, in partnership with the SLC and other important collaborators. He has traveled extensively in Asia, including Thailand, Laos, India, Nepal, Bhutan, China, and Mongolia. Sydney based Margaret Gee has worked in publishing for over 30 years. For the last 17 years she has been a literary agent specializing in memoirs and other non-fiction works focusing on nature, Himalayan cultures, anthropology, history, animal welfare, and wellness. 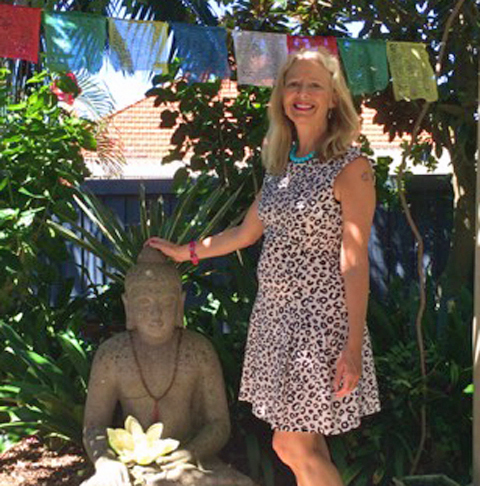 Margaret has visited Bhutan eight times and travelled extensively in Nepal, India, Burma, Vietnam, Laos, and Cambodia. She regularly attends the Jaipur Literature festival. Her husband Brent is a volunteer doctor with Health Volunteers Overseas in Bhutan. Margaret was greatly honored to be Australia’s first Ambassador for the Snow Leopard Conservancy.